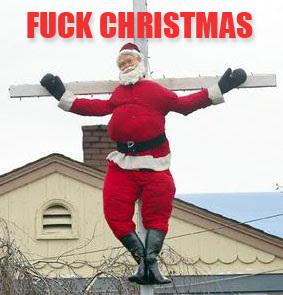 Xmas Misery Megamix — to the max! It’s been a rough year for everyone. There were countless tragedies around the world, most Americans finally understood that our political system is broken (whomever they supported), more jobs and industries just disappeared (never to return), many of us had our personal sadnesses, and a bunch of much-beloved cultural icons kicked off. And now it’s Christmas. 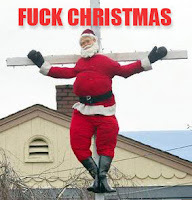 In an ordinary year, the holiday is burdensome enough — with its many obligations and simultaneous message that “time has passed, another year is gone, the clock is ticking, kids!” This year the Yuletide means that the crapfest that was 2016 is finally at an end, but another crapfest is on its way, right after this short break…. So I think it’s only right to once again get control over the emotions that the holiday produces and turn the whole thing on its head. DIVE into the misery and enjoy it! You ain’t getting’ away from it, so why not listen to talented tunesmiths, great vocalists, and rockin’ bands commemorate the emotional overload that is the holiday season? Thus, I draw your attention my “Xmas Misery Megamix.” I started creating this, with the help of many friends (all thanked in the individual posts), well before Thanksgiving of last year, since Xmas music now starts to crop up after Halloween. I have waited this year until we are only a few days away from the Xmas holiday (and its less oppressive, but still gift-driven, Hanukkah cousin) to revisit this trove of gorgeously depressing music. 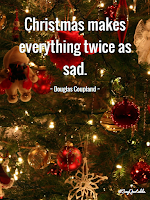 The first post I did about this topic was a super-survey of the saddest ditties that mention the holiday or are identified with that time of year. The selection here ranges from pop and classic r&b to novelty records and punk songs. A special section is devoted to incredibly sad Xmas country tunes and one of my fave candidates, submitted by a friend, a well-known and well-loved Xmas carol from the 16th century that was written to commemorate a massacre of children. The artists included here include the Everly Brothers, Lawrence Welk, Miles Davis, Tom Waits, Fear, Wall of Voodoo, and a host of country music legends. After I wrote the initial piece I found a few more choice candidates and a few friends nominated their own favorites. Thus this second entry, in which (for no particular reason) the miserable-mas songs are done only by bands with one-word names. READ IT HERE. In the third and final piece, I showcased the final two sad songs, jumping from James Chance and the Contortions to Willie Tyler & Lester. For some reason unknown to me, this shorter blog post was only a slight bit behind the very lengthy first entry in the series in terms of views. Perhaps all those Lester fans out there? 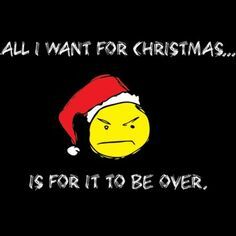 READ IT HERE, and please accept my wishes of a hap… er, miserable holiday season! Before the year closes, I wanted to mention two particularly enjoyable moviegoing experiences I had. The first is chronicled in this piece. In the time since this event occurred in Cambridge, there was a celebration of the same film in L.A. with not only the director/star present, but also nearly all the living cast members (including one who is now a big movie star on his own, although his movies are dreadful). Since I live on the East Coast of the U.S., I’m happy that there was a Shakes celebration closer to home…. This year marks the 25th anniversary of the film, which, thanks to cable showings and the blessed medium of VHS (later DVD) now has a diehard cult of fans who appreciate its imaginative nastiness and terrific cast of then-fledgling comedians. Shakes received its due at a 25th anniversary celebration on Sept. 22 at the Brattle Theater in Cambridge, Mass. Bobcat was in attendance and the event reminded yrs truly of how grimly funny the film is, and how it definitely led the way to Goldthwait’s subsequent indie features. Shakes was a very odd move for Bobcat, who was the better “screaming comedian of the Eighties.” (Bobcat’s was a comic persona, whereas Sam Kinison’s rage and jokes about minorities seemed way too real.) Bobcat’s onstage character was a nervous wreck who would shout out Tourette’s-like outbursts of non-sequitur humor. With Shakes he abandoned his strangulated standup voice and chose to play his character as a sarcastic, hopeless drunk in a surreal clowns-only version of show biz (with the much-loathed mime populace living on the fringe). Bobcat spoke before and after the screening at the Brattle, and was quite open about the film’s box-office failure — it put him, he says, “in comedy jail” for several years afterwards, as his management (and audience) had hoped he’d make a vehicle picture for his onstage persona (he had played essentially the same character in three Police Academy movies). The film remains rewatchable because of several random elements that stay in the memory, among them some wonderfully mean lines of dialogue and the sheer absurdity of a serious “drunk at the end of his rope” plot thread being situated in a world of colorful yet embittered clowns. The 35mm print shown at the Brattle had added “nostalgia value” since it was slightly scratchy (much better in this reviewer’s opinion than the spotless 4K restorations, which resemble high-def videos more than film). The most interesting revelation that Bobcat was more than happy to share was that some of the funniest moments in the film were ad-libbed by the cast members. The performers in Shakes range from then-unknowns (Adam Sandler, Kathy Griffin, Tom Kenny) to Eighties comedy stars (Bobcat, Julie Brown, a pseudonymous Robin Williams) to old pros (LaWanda Page, Paul Dooley, Sydney Lassick, and a seemingly game-for-anything Florence Henderson). Bobcat maintained that he had a lot of surprises as he directed the film, since the lines the cast were coming up with were better than the ones in his script. For example, perhaps my favorite line in the picture appears in this scene with LaWanda Page who, according to Bobcat, made up her own dialogue. Indeed many fan favorite moments in Shakes were created on-set by the performers. Julie Brown gave her character a speech impediment. The two comics playing plainclothes detectives came up with the random weirdness their characters talk about (they’re my least-fave part of Shakes, but they do have some great lines, including a consideration of what the hell a “Shondell” might be — as in “Tommy James and the…”). Tom Kenny — best known these days known as the voice of Spongebob Squarepants — steals the film outright, though, as Binky, the cocaine-dealing party clown who is the film’s villain. Wearing makeup that Bobcat said was based on John Wayne Gacy’s clown facepaint, Kenny is creepy and funny as a character who seems like a hyper cousin of the Joker who happened to wander into the cranky world of Shakes. Bobcat did the intro to the film by himself but invited a guest up for the Q&A after the film — his friend Tony V., a Boston standup who appears in Shakes as one of the nasty rodeo clowns (the film is indeed set in a world populated by different sorts of clowns). Tony agreed that Bobcat’s original script was very unlike what finally reached the screen. Which might explain the two strange sequences in which Shakes can suddenly fly (which must’ve been leftovers from the original script). A question from an audience member about a scene in which Shakes juggles led to one of two great stories about the time that Bobcat and Tony spent on the road together, touring as standups. Tony was teaching Bobcat how to juggle, and an airport security guard detained them because of the juggling pins found in their luggage. The guard wanted to be reassured that the two weren’t terrorists, so he ordered them to juggle for him — which they did, entertaining the other passengers waiting to get through security. The other story they told about airport security was an even more convoluted (and funnier) tale of a cop ingesting something that had been in Tony’s nether regions (he tasted it to see if it was cocaine). One got the impression that the two have been close friends for quite a while — Tony also has a role in Goldthwait’s World’s Greatest Dad (2009) — and their life on the road was filled with very weird events. But back to the film: Its cult status has been underscored by the fact that some of its lines of dialogue have shown up in other contexts. REM’s song “Binky the Doormat” (from the 1996 album “New Adventures in Hi-Fi”) was titled after one of Tom Kenny’s lines, and it was noted that an odd “code” phrase used in the film — “The dolphin is in the Jacuzzi.” — was used by certain dealers selling black-market Cuban cigars (!). But it was a real clown he had to debate, an angry representative of the clown community who felt that Shakes was adversely affecting the image of clowns around America. This entire event being red meat to a polished standup comic, Bobcat then had to remark that the clown seemed to lack a sense of humor. We were informed by the very proud Goldthwait, that derider of clowns, that Katie Couric enshrined this ridiculous segment as her worst-ever interview in her memoir. Clearly Bobcat is still very proud of his debut as a filmmaker, but he did note — having watched it again, sitting amongst the cultists — that the film is poorly edited at points and he wished he could re-edit certain sequences, including a car chase in which he had noticed that the car being chased was behind the pursuers. Although Shakes is indeed the broadest comedy Bobcat has yet made a screenwriter-director, it definitely paved the way for his later indie features, each of which could easily be described as “dark” (or grim, depending on the sequence and the picture). Unlike Paul Feig or (god forbid) Dennis Dugan, Goldthwait is a “comedy filmmaker” who has made a different sort of film each time out of the box and has avoided the “kooky” formulas that rule American movie comedies. His next two features after Shakes, Sleeping Dogs Lie (2006) and the Robin Williams-starrer World’s Greatest Dad, were comedies that blended dark humor with surprisingly moving messages about honesty. The first film indicates that too much honesty can wreck intimate relationships; the second conveys the message that too many lies, even ones that “mean well,” can wreck your whole life. Both films are very funny and very smart — this last aspect shouldn’t be a surprise, but in a landscape filled with incredibly bad, cookie-cutter American comedies (most of them vehicle pictures for ex-SNL cast members), it is indeed rare. The most encouraging thing for those of us who’ve been following Goldthwait from the time he was the “screaming comedian” on late night talk shows, was that he left behind comedy in his last two indie features. The first, Willow Creek (2013), is a found footage thriller (along the lines of The Blair Witch Project) that had satiric aspects in a few scenes — about odd “Bigfoot” merchandising — but is primarily a low-key horror flick. Call Me Lucky (2015) was entirely different, as it’s a documentary portrait of comedian Barry Crimmins, which explores his hard-edged left-wing comedy, his mentoring of younger comedians (including Goldthwait), and the sexual abuse he suffered as a child that has haunted his adult life. So while Louis C.K. has been getting much attention (and rightly so) for making tragicomedies that are unlike mainstream comedies, Goldthwait has also continued to carve out a very unique niche for himself, without casting himself in the lead (or even supporting) roles of his films. The sharpest and nastiest satire he’s made, God Bless America (2011), is an incredible time capsule that is both very funny in its mean (but entirely accurate) depiction of America’s love of lowest-common-denominator culture and sympathetic in its depiction of two “normal” souls (a middle-aged man, played by Joel Murray, and a teen, played by Tara Lynne Barr) who get fed up with the mediocrity that surrounds us. And while I rarely would ever bug a celeb to take a picture with him/her, Bobcat was hanging out with the fans afterward. Thus this image of myself and the man, shot by my friend Paul G.
I look forward to seeing what he comes up with — any man who starts his filmmaking career with an antisocial act of provocation like Shakes deserves our attention. Although his obits emphasized the fact that Raoul Coutard, who died in early November at age 92, pretty much stumbled into being a cinematographer — he thought he was being asked to take on-set stills for the film in question by his old friend Pierre Schoendoerffer — he wound up crafting some of the most beautiful images and kinetic camerawork in the films of the French New Wave and related filmmakers. He is best identified with Funhouse deity Jean-Luc Godard (aka Uncle Jean), who turned 86 last week. The pair collaborated on sixteen absolutely perfect films, all of which feature gorgeous and vibrant imagery. Coutard was indeed a photo-journalist who had specialized in war photography (he lived for over a decade in Vietnam) before he entered the film world. His greatest claim to fame — and it is indeed a credit to be reckoned with — is that he innovated ways to shoot “on the fly” with JLG on A bout de souffle. His work with Godard is unassailable, as it is a building block of modern cinema. He worked with other filmmakers as well on what were some of their best and most beautiful-looking films. He ran the gamut from pure verite to stylized fantasy, doing camerawork for both Jean Rouch and Edgar Morin’s landmark documentary Chronicle of a Summer (1961) and Jacques Demy’s lighter-than-air romance Lola (also ‘61). Besides Godard, the filmmaker he most frequently collaborated with was Francois Truffaut (Godard’s best friend, and later nemesis). The quartet of films Coutard shot for Truffaut are among his very best. Shoot the Piano Player (1960) and Jules and Jim (1962) were trendsetting tragic romances. The Soft Skin (1964) features some of the most beautiful images in all of Truffaut’s filmography, and The Bride Wore Black (1968) is one of the finest-ever adaptations of noir-master Cornell Woolrich’s work. Coutard had arguments with Truffaut over the last-mentioned film that ensured they never worked together again. Coutard claimed responsibility, saying he was trying to stop smoking during the shooting and that made him impossible to deal with. Costa-Gavras has been making sharply political films for the last half-century. 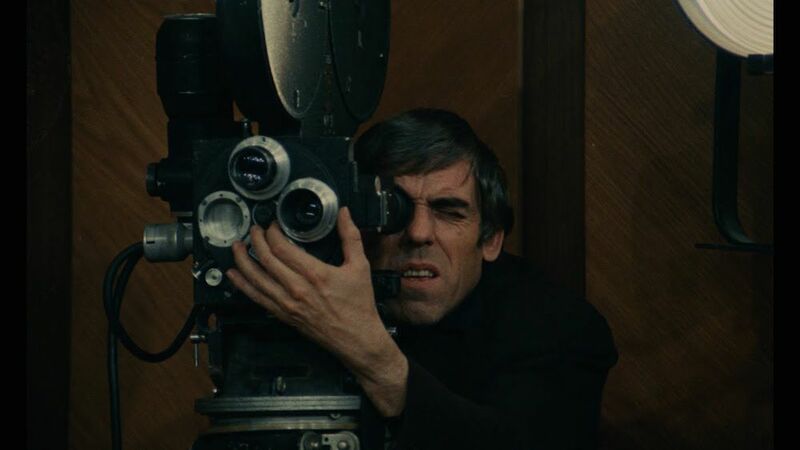 Two of his finest, and most successful, films were shot by Coutard, Z (1969) and The Confession (1970). The latter was quite controversial, as it showed the authoritarian excesses of the Soviet Union; it was therefore perceived incorrectly by reviewers as a right-wing film by an iconic left-wing filmmaker. The film is a haunting and memorable tale of unjust imprisonment. Z is one of the all-time greatest political thrillers, an unforgettable mixture of plot, message, and characterization — made even better by Coutard’s camerawork and the music of Mikis Theodorakis. Coutard kept working up until 2001. Unsurprisingly, the filmmaker who used his talents best in his later years was a “younger brother” of the French New Wave, namely Philippe Garrel. His The Birth of Love (1993) stars Sixties icons Jean-Pierre Leaud and Lou Castel, and perfectly captures the look and tone of the French New Wave. The only proper place to end this tribute is, of course, to discuss his sublime collaboration with Godard. 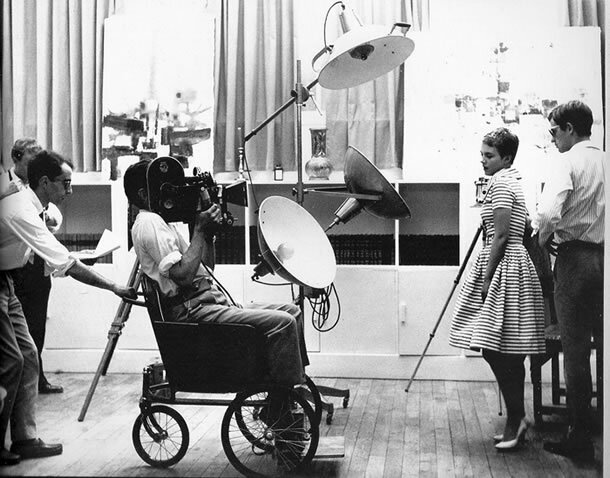 Coutard was selected to shoot A bout de souffle (1960) because of his documentary background, and what he devised for Uncle Jean were several clever, innovative ways to “steal” shots on the streets of Paris. Aside from secreting the camera in a mail cart and shooting in (and from) moving cars, Coutard was, of course, the cameraman in the wheelchair (above) whom Godard pushed along the street to simulate a tracking shot. From those gritty beginnings Godard and Coutard moved on to make some of the most perfect and sophisticated films of the decade, including Vivre Sa Vie (1962), Contempt (1963), Alphaville (1965), Two of Three Things I Know About Her… (1967), and Weekend (also ’67). In each case the film was excellent to begin with (as was the case with Masculin-Feminin, the only non-Coutard Godard feature of that era). But Coutard’s visuals, lighting, and work with colors (or stark b&w, as in Alphaville) made the films even more perfect. My choice for the finest of all would be Pierrot Le Fou (1965), the “lovers on the run” drama-comedy-musical that covers so much territory in its 110 minutes that it seems like a summation and/or primer for those who are curious about Godard’s way of assembling a film, crafting characters, framing his actors, and exploring the themes that he’s still obsessed with today. Godard’s films with other cinematographers are still marvelous, but there’s something very special about the rapport he had with Coutard. This is proven by the fact that the two best films Godard made in his Eighties “comeback” period were both shot by Coutard. Passion (1982) is an exquisitely beautiful film that counterpoints activity in a factory with that in a nearby movie studio. Stars Hanna Schygulla, Michel Piccoli, and Isabelle Huppert all have some great moments, but the most gorgeous sequences are the ones in which we watch the film-within-a-film being shot. As is usually the case in Godard’s films about artistic creation, the “interior” work is an unlikely prospect in which famous paintings are recreated as live-action tableaux vivants. What results are some stunningly beautiful images. Godard's last film with Coutard is another masterpiece that serves as a good “portal” to Uncle Jean's work. 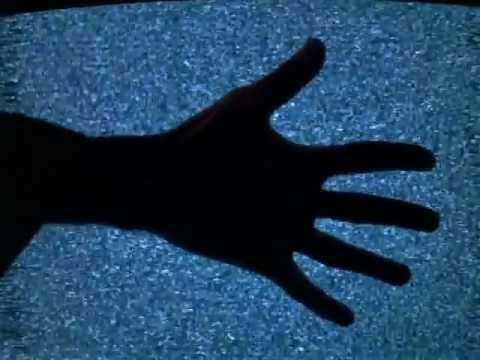 First Name: Carmen (1983) is Godard's funny and bittersweet take on the Carmen story. In the Eighties Godard crystallized a visual style that found him frequently cutting to landscapes and the sky as punctuation to the actions of his characters. (He had started doing this in the Sixties but it has been used a lot more in his work in the last 35 years).